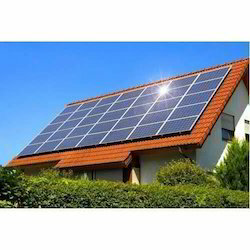 We are a leading Manufacturer of solar rooftops from Chennai, India. Being a customer oriented organization we are engaged in offering a quality approved range of Solar Rooftops in the market. Offered products are quality assured and known for their optimum performance. Our clients recommended these products for their easy usage and less maintenance. Offered range of products is made under the supervision of highly skilled professionals as per the set industrial parameters. These products can be availed at best market price.